Are You Ready for Some BaseBolly! It is going to be one colorful, extravagant and interesting game tonight under the tilted cap of Tropicana Field. 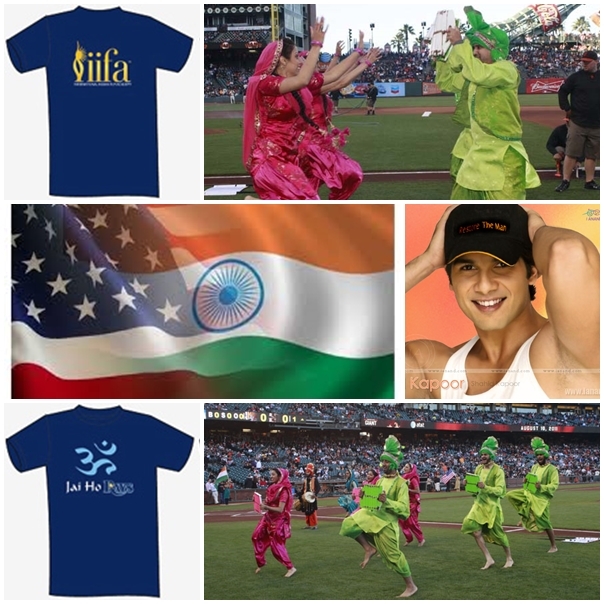 For tonight the Tampa Bay Rays not only play host to the Minnesota Twins, but they also invite Bollywood as a salute to their own neighbor Tampa being selected as the sight for this year’s International India Film Academy (IIFA), which some affectionately anoint the “Bollywood Oscars”. It will be a night of choreographed flamboyant dances, or as the television show “The Neighbors” call it, “screw in the light bulb, pet the dog” large scale ballpark participation sequences. Who knows, all game long during the mid-innings we could see sporadic mob style dancing segments pop up all over the ballpark from the Porch, to the TBT Deck, or maybe even the Papa John’s Bullpen Café. I mean we have the dancing segment filled, and also have a real Bollywood leading man (Shahid Kapoor) throwing out the First Pitch and if my friend’s daughter is any judge, hearts will swoon. I am sure we will witness Rays game day host Rusty Kath dressed festively possibly in a Gandi cap or ornate and fashionable Sherwani. 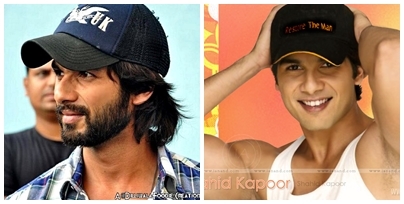 Who knows maybe he will put his Gandi cap into the ring and do some impromptu dance moves (we know Raymond will try). Hopefully Rusty will not chose to wear a Panache or Lungi because that would make hopping a wall a bit….exposing even for the unflappable Rays game host. Now Raymond could pull off the traditional men’s sarong with grace and ease (I hope). 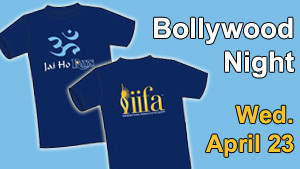 I know with the upcoming IIFA awards beginning today and running through April 26th in our neighboring city on the east side of Tampa Bay, it is a perfect time to bring Bollywood into a baseball stadium and the Rays Promo team jumped right into the fray with a ticket offer with a ceremonial one-of-a-kind T-shirt offer just for the special night with seating starting at $25 in the Press Level (maybe Marc Topkin will pass you a hot dog). 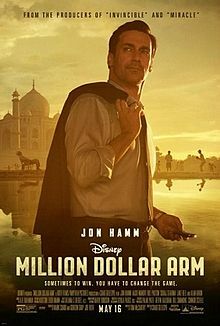 I am also hoping the Rays, who seem closely aligned with Florida neighbor Walt Disney Productions will also have a few trailer or spot videos of the upcoming Disney baseball film “The Million Dollar Arm” which opens May 16th Nationwide. The biological sports drama is a true story of the Indian pitching prospects Rinku Singh and Dinesh Patel who began their M L B dream in another neighboring city, Bradenton, Fl. back in 2008. Tonight should be a great festive night with colors splashes all over the Trop., great dancing and who knows maybe even a post-game dance on the field via walk-off (it’s been a while). No matter how you slice it, tonight will be a collision of the senses as colors, sounds fill the Trop celebrating Bollywood and who knows, maybe even Todd Kalas or Rays Manager Joe Maddon will get into the moment do their own little post-game shimmy….I can’t wait to take it all in tonight. Rays Airport Celebration was Amazing! I began my stroll through the doors of the far terminal of St. Petersburg /Clearwater Airport just at the same time that dinner was delivered to a few of the Tampa Bay Rays interns and staffers who had gotten their early to erect the skeleton of the maze that the Rays player would waltz through on their way to their buses. I was the first fans (same as 2008) to wander into the concourse a few minutes after the Rays clinched their second American League East title in three seasons. Immediately there were a bucket load of high-5’s and even a few screams of “Go Rays!” from a few of the assembled Rays employees as I got into a prime spot with a direct shot at the door the Rays players and staff would bust through on their way back into Tampa Bay’s hearts. This moment was definitely the calm before the storm as the Rays plane would not land for another 4 ½ hours, giving me more than enough time to catch up with some people I had not seen in a while. People like my old Pepsi boss, who along with her new Special Events coordinator (my old job) were starting to set up free Aquafina water and natural Sierra Mist soda stations all over the concourse to keep the Rays fans hydrated in the upcoming close quarters celebration commemorating the Rays first thrust in the 2010 post season. I had come early to get a bit of fodder for a future post, but within the next half hour small strands of Rays faithful were slowly assembling and in high spirits to see :their boys ” one more time. Even had an insider (Rays ex-charter flight attendant) who kept me informed of the charter flight’s status and a few funny text messages she got from some of the people still celebrating in Kansas City. It wasn’t until 10:30-ish that the Rays plane finally touched the tarmac at St. Pete/Clearwater Airport, and by that time the crowd had multiplied 20-fold. But in that down time before the Rays plane landed, the Rays kept the crowd energized and excited with the antics of our favorite sea dog Raymond, game day emcee Rusty Kath and the Rays (dance) Team. But what really got people fired up was the hundreds of balloons that were blown up hours earlier and then pushed into the crowd to form a balloon volleyball match that lasted for a half hour or more. It kept our minds off the wait, and on our toes as blue and yellow balloons constantly were pushed towards the white gating and needed to be pushed back into the ever increasing mass of Rays Republicans’ who turned out to welcome the team back home. Trivia questions for bobbleheads and kid’s batting helmets, Raymond dance-off contests, and even some great mixes by D J Fresh, who is an ex-Rays bat boy turned DJ, provided easy ways for the crowd to forget the time on their feet and stuffed like sardines. But suddenly it was time. You saw the Rays stadium staff go out to the tarmac quickly followed by the Rays team photographers, and you knew the moment had arrived. You knew it was time to scream, yell, thrust signs skyward and cheer for your champion Rays. Immediately the tarmac door opened and in came Rays Manager Joe Maddon in his customized Brayser suit quickly followed by players and staff in their own Braysers. Never had the Brayser been so fashionable than at that moment, The team had coaxed MLB during the last home stand to let the team hit the field wearing the plaid billon their game day caps, and now during the celebration, the Braysers had made St. Petersburg mad for plaid. Instantly the assembled Rays crowd went into a frenzy of emotions and verbal cheers along with screaming and yelling for select players as they filtered in from the plane. Evan Longoria was decked out in his Brayser complete with a white belt and white patent leather loafers in a look that would have made Pat Boone proud. And you could tell by their faces that the sounds of this enclosed terminal area kind of put a few of them back on their heels, but they quickly adjusted and got into the flow of the moment. It was officially celebration time in Tampa Bay, the mighty Rays had landed home safe and sound. Maddon made a short speech then turned the microphone over to Longoria and then David Price before the team quickly made their way to the buses stopping to shake hands with the fans, read a few of the signs and look totally overwhelmed ( in a good way) by all of this Rays attention. The veterans of the 2008 airport celebration knew what to expect, but playoff rookies like Matt Joyce and Dan Johnson just looked like deer in the headlights, but were into the moment as they went through the maze on their way to the exits. It was another example of the great support and admiration this club has by some of it deepest and most passionate fans. Rays players did not take a lot of time to greet fans and friends they knew along the winding white gate path. Glances and finger pointing were the signals of the day as the players quickly got to the busses possibly for an extended round of celebration on tap later in the evening. As quickly as the emotions and sound has risen, it was suddenly silent and the crowd moved for the many exits, hoping to get a glimpse or wave from the Rays players on the busses before they disembarked for Tropicana Field. The Rays were finally home. They had finally completed one of their seasonal goal by winning on the road, and in achieving that goal, they had won an A L East crown. It was an evening of renewed friendships, honest emotion and a buzz that seemed to stay within your body for a few hours. As the large crowd began to filter out of the terminal, local media news crews were summarizing the action and events, trying to collect the balls of energy of these great celebratory moments for those Rays fans at home. As quickly as it began, it was now over. Time to go back home and personally access the moment, collect our thoughts and begin to focus on the goal at hand. The Rays had secured another A L East title. Another banner would be raised to the rafters in April, but two more still had to be fought for in the coming weeks, with the journey beginning in 3 days as the Rays kick off the playoff punch with a 1:30 start on Wednesday afternoon against the Texas Rangers. Even this morning, the buzz and effect of that crowd scene last night still hums in my head, and is alive on my camera. And all of it will collect again soon as the Rays Republic ( and me) assemble again on Weds. To begin our quest for another ring, another victory, and another great moment to celebrate in our Rays brief, but fantastic history.